Do you intend to get into partnership with athletes or teams for a marketing campaign? Here are the points to consider during the selection process. Will tying a campaign to a certain sports athlete or team give my marketing campaign more impact? What attributes should I be looking for in sports athletes I want to represent my brand? Thank you for your question. I haven’t encountered this kind of question in a while, and I’ve been looking to discuss this in one of my columns. To answer your question– YES, involving sports athletes to your marketing campaigns will give more impact to your cause. I am all for partnering with sports teams and athletes. I find that athletes are one of the best people to work with because they represent many important values people can look up to and admire. Aligning your campaigns alongside sports athletes is a great way to market your brand, and build brand equity. Here are some points in searching for a suitable athlete to partner with: Look for someone who can…. Nestle Milo has been partnering with sports athletes for many years. Since arriving in the Philippines 50 years ago, Milo has worked hard to pursue its mission of building champions through sports. Athletes like taekwondo champ Japoy Lizardo and gymnastics star Nica Calapatan are among some of the few who have appeared in marketing campaigns by the brand. Over the years, Milo has continued to nurture children through their various sporting activities, like the Summer Sports Clinics and Milo Marathon. The graduates of these programs have gone on to represent the country in international competitions, and have served as an inspiration to younger generations looking to get into sports. Promil has for the past 25 years continued to seek and optimize the full potential of children 4 years old and up, with their specially formulated powdered drink. In a recent throwback campaign, Kiko Galura, James Flores, and Shaira Luna, who were once young children featured in aGifted Child commercial, have 20 years later, made a name for themselves in their respective industries. These three have become icons to the Promil Pre-School program, which aims to provide an avenue for talented kids to let their giftedness grow. Remember, it is integral to know how to champion your brand by choosing athletes that don’t just become the face of a brand, but help it grow and even continue on to other generations, inspiring the youth to take on the challenge of becoming disciplined, hardworking, and confident in sports and in life. 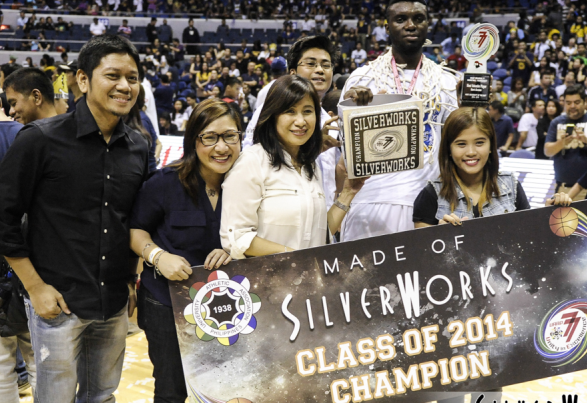 Sterling silver retailer Silverworks has long partnered with the UAAP athletic league, creating UAAP-related accessories as well as providing championship rings for the winning teams, even endorsing basketball player Nico Salva during the Ateneo Blue Eagles’ 5-peat run. Silverworks takes pride in making the league happen. 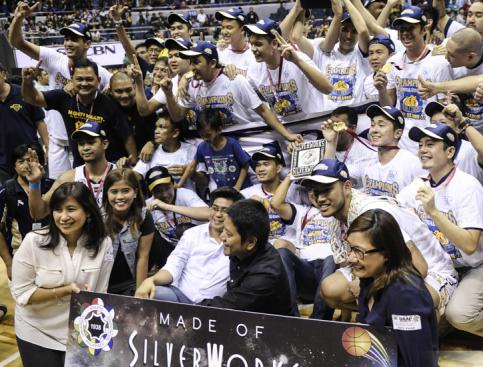 “We want them (the youth) to celebrate the youthful competition that leads to sportsmanship. When we talk about sportsmanship, we do not only concern ourselves with enjoying the competition and the sports activity. We value proper consideration, fairness, and respect to others,” Brian adds. Know how to choose athletes that champion the values you represent. Let your athletes speak about and epitomize the values your campaign holds at its core. Remember to choose people who set a good example and inspire others to exemplify sports values like honesty, integrity, sportsmanship, and cooperation. Sportswear brands like Nike and Adidas have long partnered with athletes, creating a line of sought-after products that are named after well-known figures in the sports industry. Nike’s Air Jordans for example were first produced for Michael Jordan personal use in 1984, and then for sale in 1985. These shoes were worn by Michael over the course of his thriving basketball career and became so popular that the line of footwear turned into its own brand, and has since grown to design and develop products that have been used by a number of sports teams and athletes over the years. In 2011, Nike unveiled their Holiday Manny Pacquiao Collection, which featured a line of limited edition sportswear named after the People’s Champ. The following year, Nike also created for Manny a line of clothing and sportswear, which the boxer used for his training sessions as well as for use during his boxing matches. When marketing your campaign, identify athletes that will best champion your product. It’s not simply about the person who promotes your product, or how your product is reflected in their respective sports, but how that person embodies what your product is all about. Remember, Air Jordans were Michael’s shoes of choice when winning his competitions, and he wore them confidently and proudly whenever he played basketball. To finish off, don’t forget that athletes become an extension of the brand, its values, and its products. More than finding the most well-known athlete, or the one with the most awards and medals, it is integral to keep in mind that the best is not always the most suitable. When finding someone to represent your campaign, look for an athlete who not only reflects your campaign, but someone who will help it grow and exceed expectations.